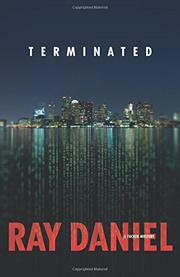 A Boston software debugger whose company has inexplicably tossed him away gets a chance for justice and revenge in Daniel’s first novel. Aloysius Tucker had always thought of Nate Russo, vice president of product development at MantaSoft, as a second father. So he’s stunned when Nate calls him into his office and fires him from his job running the Rosetta project, a decryption system that will allow any corporation that installs it to read its employees’ encrypted files. Turned out of his job, Tucker drives home to find that his wife, Carol—who worked with him on Rosetta—has been terminated too, her throat cut. Nothing happens for six months. Then the murder of Alice Barton, the assistant Carol hired to help her manage the software code, puts the case once more in the sights of Tucker’s old friend Kevin Murphy, of the FBI’s cybercrimes division—and then even more dramatically in Tucker’s sights after Kevin is gunned down before his horrified eyes. Hired by Nate once more to do due diligence on Bronte Software, a company MantaSoft is looking to acquire, Tucker finds himself swimming uncomfortably with the crowd jockeying for control of Rosetta, especially his despicable British replacement, Roland Baker; MantaSoft CEO Jack Kennings; and Margaret Bronte, the enigmatic founder of Bronte Software—someone, it turns out, with whom Tucker has already spent some quality time. His relationships with these players are further complicated by the running dialogue he carries on with Carol, the wife he sorely neglected for his job, who now continues to provide caustic commentary on his every move from beyond the grave. A lively debut rated R for cyberporn, sexual violence, coincidences and geek cuisine.